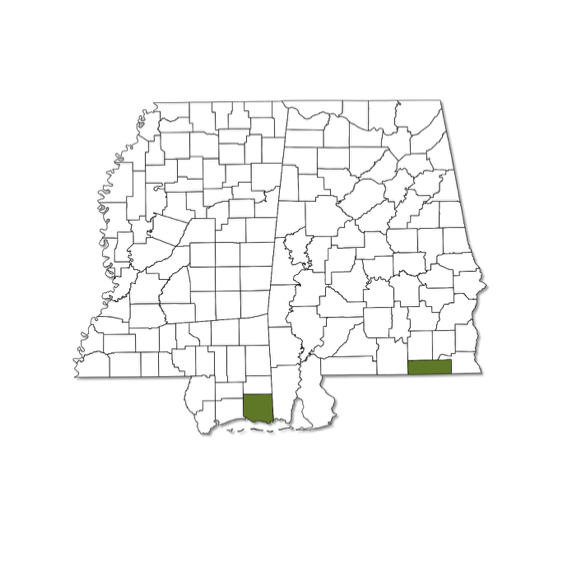 Known from only one county in Alabama and one county in Mississippi, both of which are in the southern most row of counties. Typically found in or near wetland habitats. Lower surface of hindwing orange with lighter colored veins. Upper surface orange with dark brown borders.